Speaker of the National Assembly Ararat Mirzoyan on Monday met with President of the Inter-Parliamentary Union Martin Chungong to discuss cooperation opportunities and joint projects. A parliamentary delegation led by Mirzoyan left for Qatar on Friday (April 5) to participate in the Union's 140th session. Congratulating the parliament speaker on his election to office, Mr Chungong praised the Armenian parliamentarians' representation in their organizaation, expressing their support to the renewal of democracy worldwide. 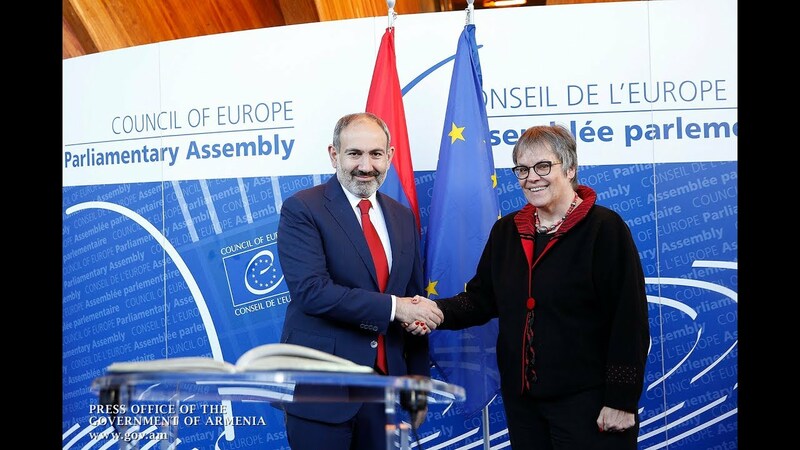 According to a press release by the National Assmebly, the sides discussed the framework of deepening partnership and mutual interests, agreeing to organize a workshop in Yerevan to address possibilities of women's engagement in the political decision-making. Mirzoyan at the end handed to Mr Chungong a letter expressing a willingneess to adhere to the Common Principles for Support to Parliaments, a document elaborated by the Union.